Apple is touting its HomePod as a high fidelity streaming music player first, and a Siri voice assistant device second. That voice control comes with some limitations. Read on to learn what Siri can, and can’t, do on your HomePod. 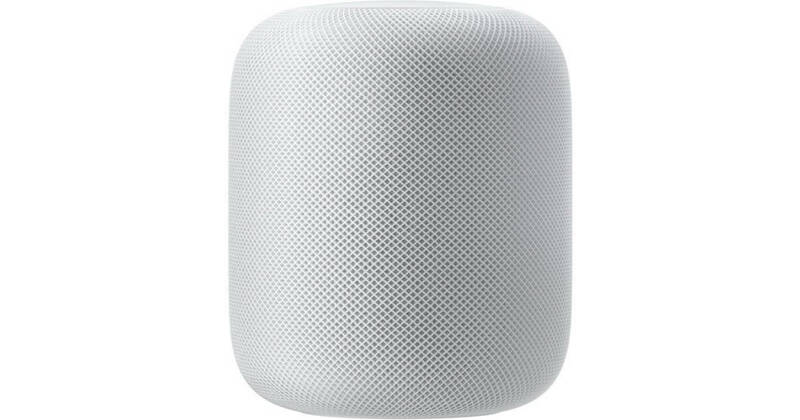 HomePod is Apple’s smart speaker for streaming music. It also includes limited Siri voice control for music playback, along with some smart home and schedule, task, and Messages management. The speaker includes seven tweeters and a woofer, plus six far field microphones for Siri voice control and automatically adjusting audio quality based on where it’s placed in a room. Anyone can ask Siri to stream music, start and stop playing, and skip tracks. Commands like, “Hey Siri, play blues” work as you expect. Anyone can tell tell Siri to adjust playback volume, too. Siri can give you detailed information about the songs you’re playing, but only if they’re streaming from Apple Music. Siri on HomePod can recite your upcoming appointments and tasks. You can add new tasks and notes, too, plus respond to Messages chats, just like on your iPhone. Apple addressed the privacy issue by limiting those features to working when your iPhone and HomePod are on the same network. If you’re out running errands, for example, no one can use your HomePod to find your schedule. You can use Siri through your HomePod to control HomeKit-enabled smart home devices. “Hey Siri, turn on the livingroom lights” does just that. This addresses a long standing complaint I’ve had about always needing to pull my phone out of my pocket or raise my wrist to invoke Siri for smarthome commands. Now you can talk to the air, just like we already do with Amazon Echo and Google Home. HomePod is a sort-of multi-user device in that anyone can use Siri for music playback and smart home control. For everything else, however, it’s very much a single-user device. Calendar, notes, tasks, and Messages are available only for the person with the iCloud account that’s linked to the HomePod. Since HomePod is tied to a single iCloud account, it’s very much a single-user device in that sense. Hopefully Apple will address that with a software update so everyone in a home can access their own schedule and tasks. How good does HomePod sound? That’s a great question and the answer, of course, is subjective. That said, Refinery29 got an early look at HomePod and compared its audio to Amazon Echo, Google Home, and Sonos One. They say it beats all three, which is promising. How good it sounds to you will depend on your personal audio preferences. Pre-orders for Apple’s HomePod start on Friday, January 25th, and it’ll be in stores on February 9th. It’s prices at US$349 and comes in white or space gray. Wow, thanks for sharing that NSBC!